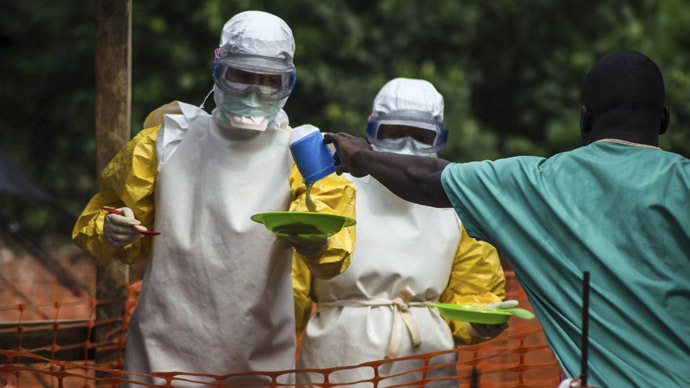 The Ebola rumor mill has gone into overdrive, with the media contributing to rather than quelling the spread of disease-provoked hysteria, which has produced grotesque theories, bogus cures and attempts to capitalize on panic. The Islamic State and Ebola – the two hottest topics have been combined in some news reports to create a story nightmares are made of: IS terrorists could travel to West Africa, deliberately infect themselves and then cause chaos by traveling by air. I've watched CNN all day and now I'm fairly certain that ISIS is going to give me Ebola. 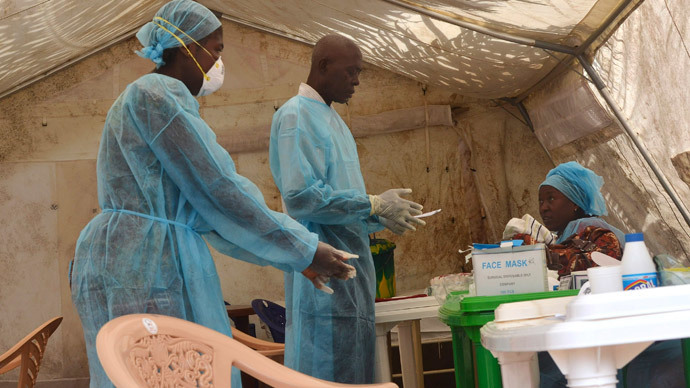 The possibility of Ebola being used as a biological weapon has been dismissed by US secretary of homeland security, Jeh Johnson. “We've seen no specific credible intelligence that [IS] is attempting to use any sort of disease or virus to attack our homeland,” he said. 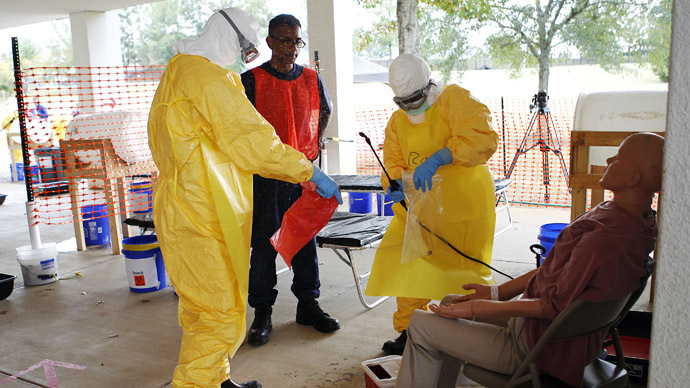 Fear mongering reports on Ebola have been slammed by a Fox News anchor, Shepard Smith, who has called on journalists to stop spreading Ebola rumors as “it’s not worth ratings.” The episode with Smith laying out facts on Ebola, and saying it was wrong and ridiculous for Americans to be afraid of a non-existent outbreak in the US, has gone viral on YouTube. “Best advice to you and your family at this moment – get a flu shot. Unlike Ebola, flu is easily transmitted. Flu along with resulting pneumonia killed 52,000 Americans last year alone,” Smith said. CNN faced a storm of criticism on Twitter after the news channel posted a photomockingthe fear of Ebola. The media outlet later took the controversial picture down from their account. CNN's put up a story mocking the fear of ebola in people while also putting out articles designed to put the fear of ebola in people. As the Ebola hysteria continues to grow, rumors have spread in Nigeria that you can be cured from the virus by drinking saltwater and taking saltwater baths. The rumors have spread over the internet, with packets of salt selling like hot cakes. However, those rumors had catastrophic results as three people have died from drinking too much salt water, according to the Nigerian publication, the Vangard. 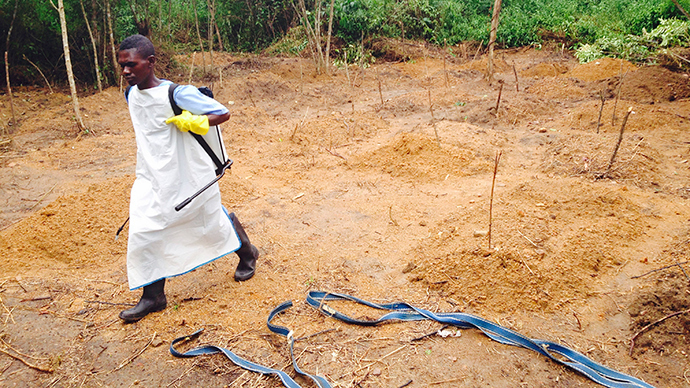 Plenty of companies offering “successful treatment” for Ebola have also sprung up. The Food and Drug Administration and the Federal Trade Commission used the quote in the warning they sent to the company, saying the claims violated federal regulations. The firm later responded by saying it was changing the language of its ads so that they would not suggest their treatment can cure Ebola. Two other firms have reportedly been sent similar warnings. While some want to cash in on fake cures, others have been trying to capitalize on the name of the disease. 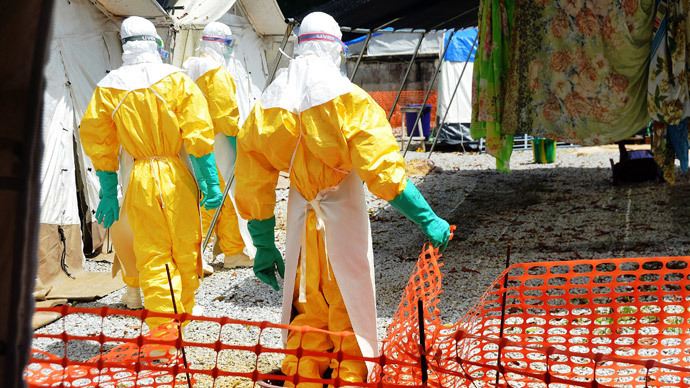 A US company has offered to sell the Ebola.com domain name for $150,000. Chris Hood, a junior partner with Blue String Ventures Inc, the firm selling the rights to the domain acknowledged, according to Reuters that the company has been criticized for attempts to profit from Ebola.com, but saw nothing wrong with it. "It's not like we’re preventing people from getting information. We’re not causing people to get the disease, we're not preventing them from getting a cure,” he said. The company is also the owner of other websites with the names of deadly diseases - Birdflu.com and Chikungunya.com. 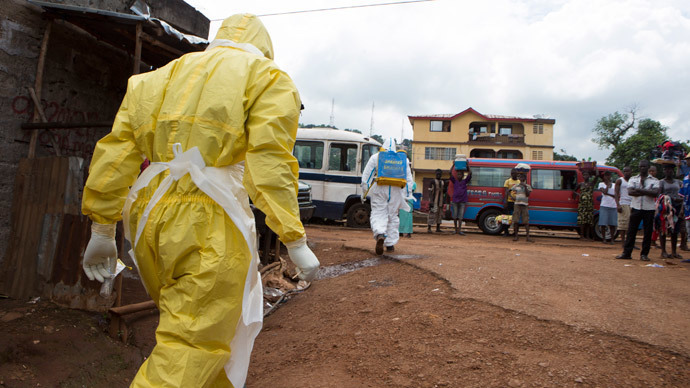 A Nigerian man may be left with a hefty five figure bill after an Ebola prank went out of control. He was sitting at a pub in West Berlin, when he claimed he was suffering from the virus. 20 firefighters arrived at the scene and sealed off the area, but it soon emerged that they were victims of a prank. The man had slipped out the bar before as the commotion began to unfold, but he was tracked down to his home, where they subsequently took him to hospital, where he was given the all clear. The authorities are still pondering whether to press charges and the Berliner Morgenpost newspapers says the costs could run into a five-figure sum. Contrary to the belief, you can’t catch Ebola from buying a pretzel or a coffee. With the Ebola rumor mill in overdrive, some people have been concerned that touching loose change would be enough to catch the deadly virus. However, perhaps unsurprisingly, this isn’t really the case. 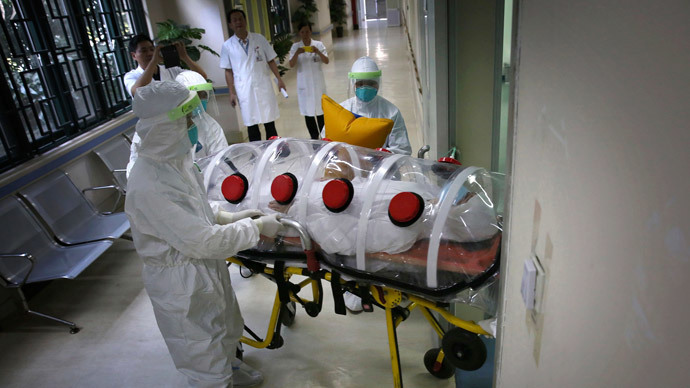 Unlike this image, you won’t be finding Ebola in your pretzels.